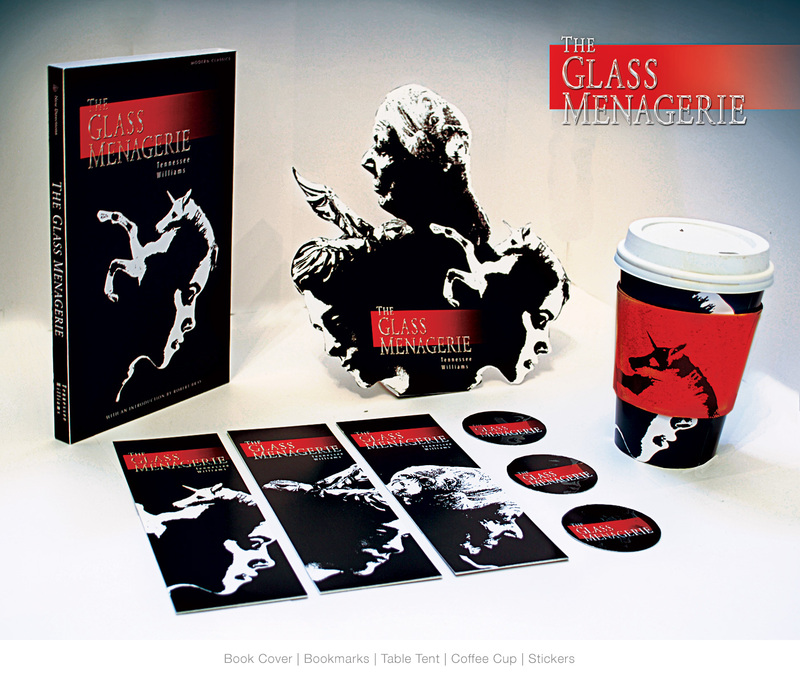 This is a school project where we had to pick a classic novel and design a book cover, a table tent, a coffee cup, 3 bookmarks, and 3 stickers. 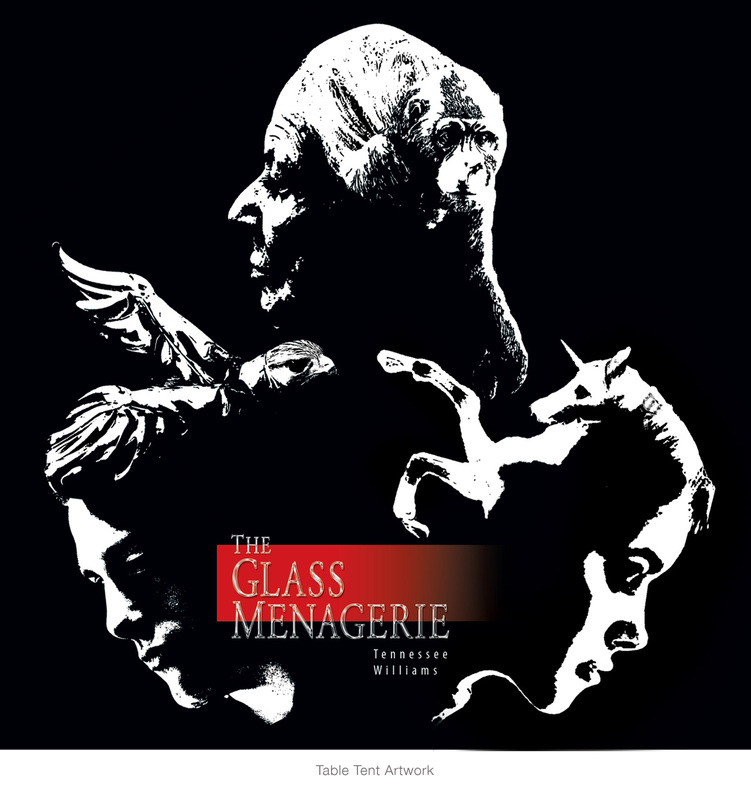 I chose the book The Glass Menagerie. There are three main characters I focused on for the design. I gave each character an animal glass figurine associated with their personality in the book. 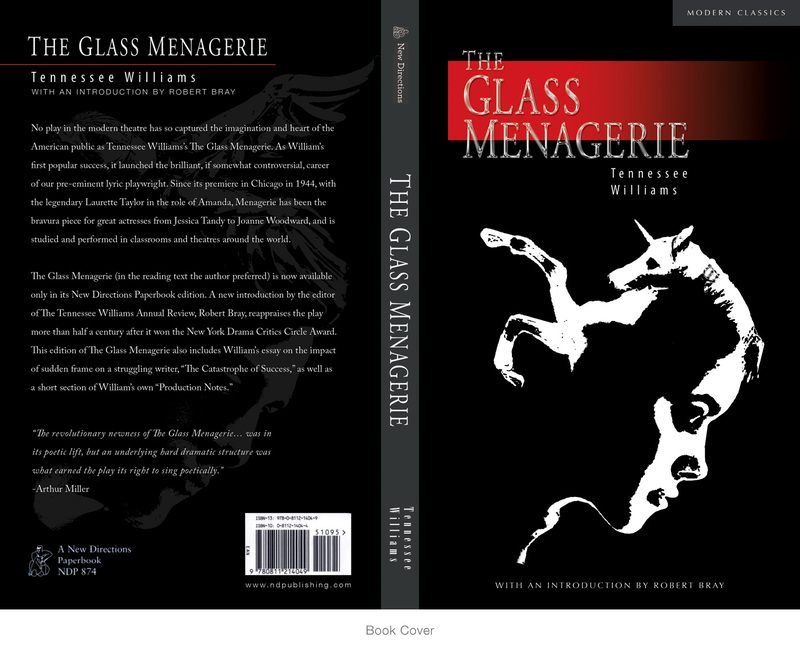 The young woman is the main character and is on the book cover. She is looking down because she is painfully shy and her figurine is a unicorn, as it is an important figurine in the book. The old woman is her mother, who is stubborn and is represented with a gorilla. And the young man is her brother, who wants the freedom of being on his own and is represented with a bird figurine.